Have you ever wanted to clean up your code? Remove unused imports or variables ? Eclipse provides this feature, all you have to do is to create a profile !! Here’s how its done. 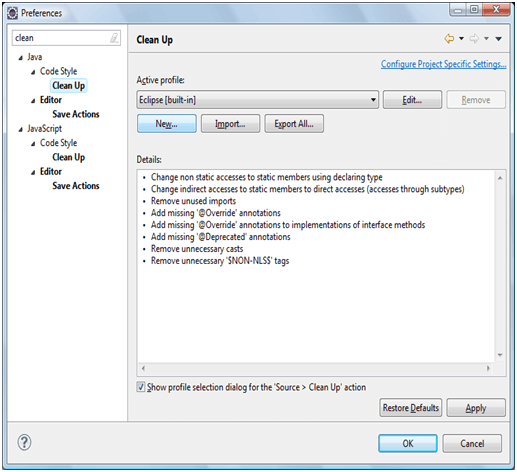 Go to Windows >> Preferences >> Java >> Code Style >> Clean Up Click on New button. In the next window provide a Profile Name of your choice for eg. JBT and click “OK”. It will take you to a new window where you can configure your clean up options. There are different tabs provided that allows one to set their preferences for the profile. Listed below are the clean up options. 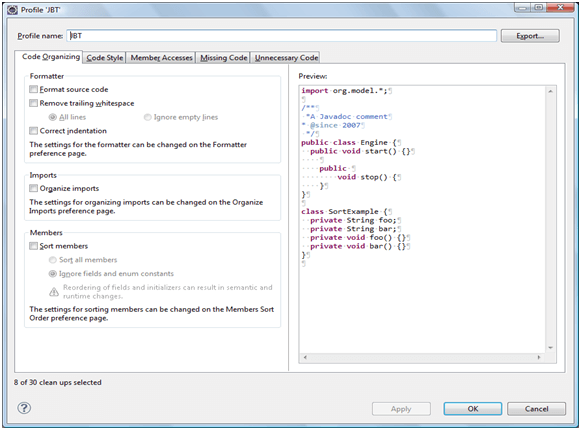 Select an application where you want to apply the newly created profile (JBT). Right click on it and go to Source >> Clean Up. A window will appear as below. Select Project and Profile and click “Finish”. 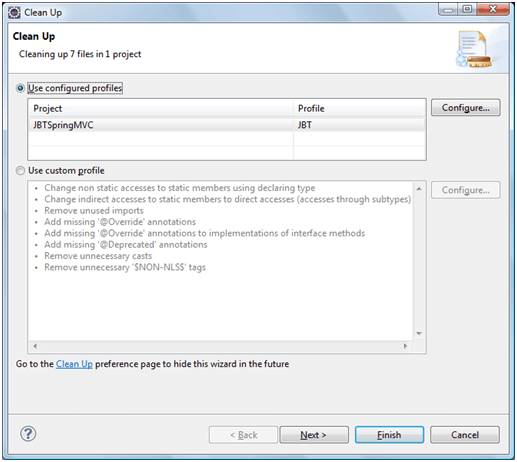 Now you know how to clean up your code with the help of Eclipse. I have already created a profile and added for you with preferred settings. Just import attached file in your eclipse and start using it with your code.